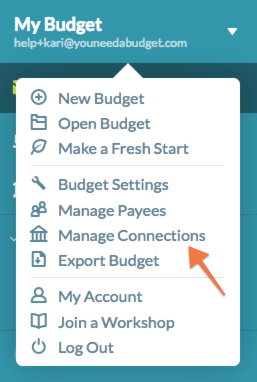 Click your budget name (top-left) and choose Manage Connections from the menu. Remove the connection to the financial institution giving you trouble. You'll need to confirm you'd like to disconnect the account(s), and then select Done (or Cancel). Once you've removed the connection, it's time to create a fresh one and relink your accounts! 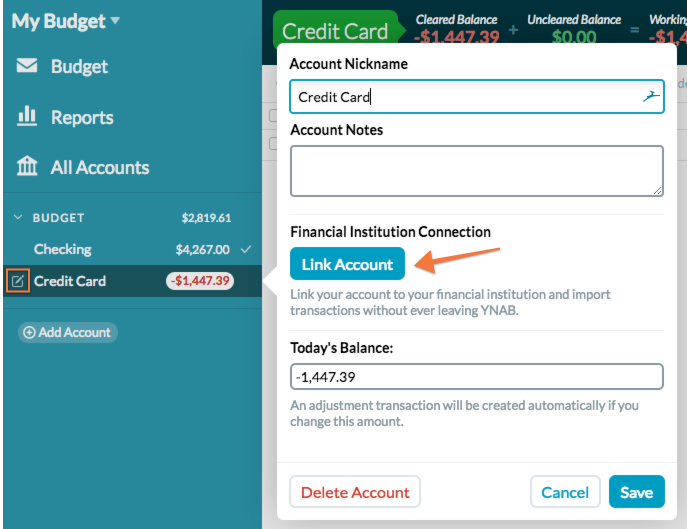 Hover over an account you'd like to link, click the edit icon, and choose Link Account . 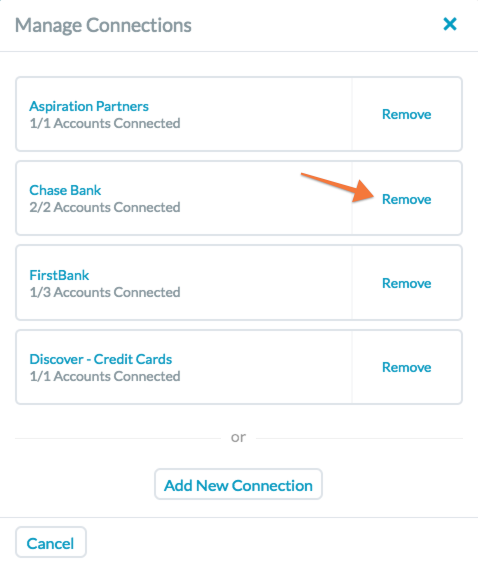 Choose Add New Connection, search for your financial institution, and follow the prompts. Once that account is connected, make sure to relink any other accounts associated with these credentials, too. You'll do so by repeating step 1 but when you get to step 2, select the connection you just created! Each connection represents a unique set of login credentials for a financial institution. If you have more accounts you'd like to add and they're under a different set of credentials, you'll need to add a new connection. Pro-Tip: Always make sure you're using the primary account holder's credentials!